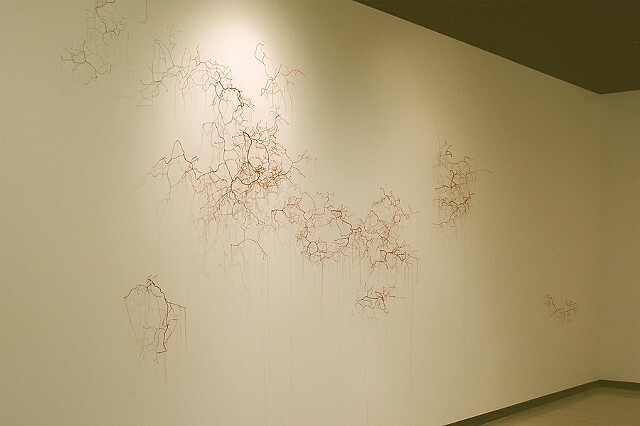 In this wall installation, wire is wrapped repeatedly with a thin string to form vein or branch- like structures that weave throughout the gallery wall, creating a stimulating play of line and shadow. The work references traditions of drawing and painting, sculpture, and weaving. Themes of slow growth, presence and absence, connectedness and ancestral roots pervade the work.